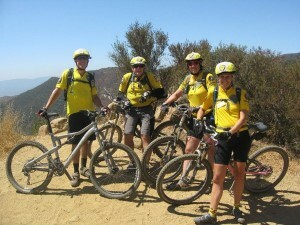 Have you thought about joining the “Yellow Jerseys” in the parks…? Orientation Day will be held on Saturday, January 28, 2017, 9:00AM at the King Gillette Ranch Auditorium. Orientation Day is an indoor meeting to learn more about patrolling with the MBU and is an opportunity for you to ask questions. 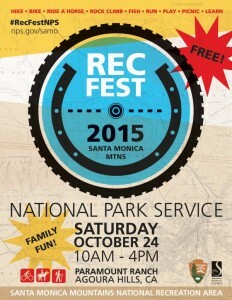 Bring your bike and helmet, and if the weather is good, we’ll go on an optional fun ride after the presentation. There is no commitment to join the MBU if you attend Orientation Day. For more information and to be added to our mailing list, contact our Contact Administrator on the MBU website. Scott is a respected filmmaker, storyteller and self-declared cat whisperer. 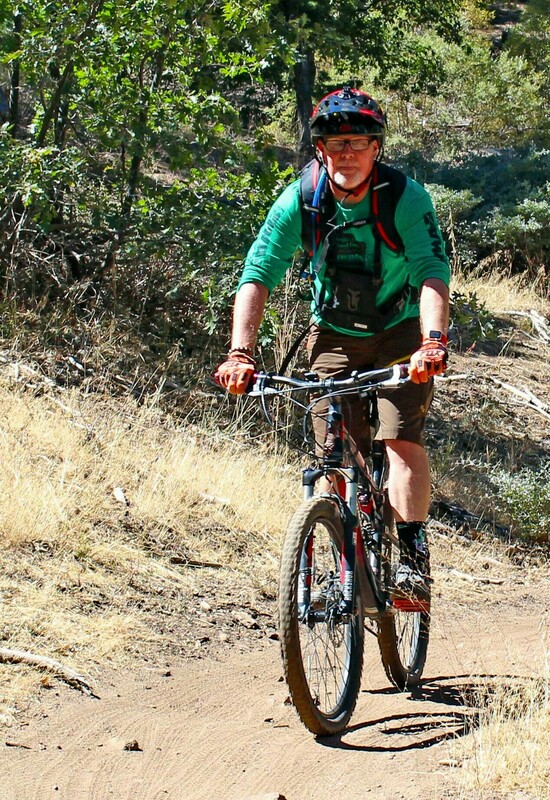 When asked how he came into mountain biking, his is an unusual story: “My first bike was a portable folding bicycle that I bought because I heard that Talking Heads artist David Byrne rode one around New York City.” That quickly led to a full-blown love of bicycles, and especially mountain bikes. Scott is a member of the Mountain Bike Unit (MBU), a group of mountain bike volunteer patrollers that work closely with the National Park Service, California State Parks and the Mountains Recreation and Conservation Authority (MRCA) patrolling the Santa Monica Mountains to assist and educate visitors on the trail. 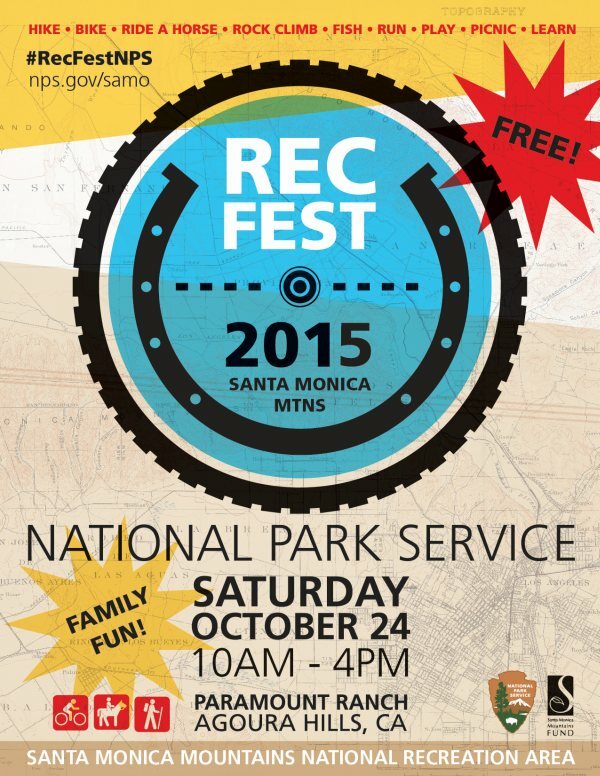 Scott can be found somewhere in the Santa Monica mountains every weekend. He has attended several CORBA board meetings over the past few years, just to keep abreast of what’s happening in the area. Now he’ll be attending as a CORBA board member, helping keep CORBA on mission. We’re delighted to have him aboard. Also joining the CORBA board is Joyce Deprest. 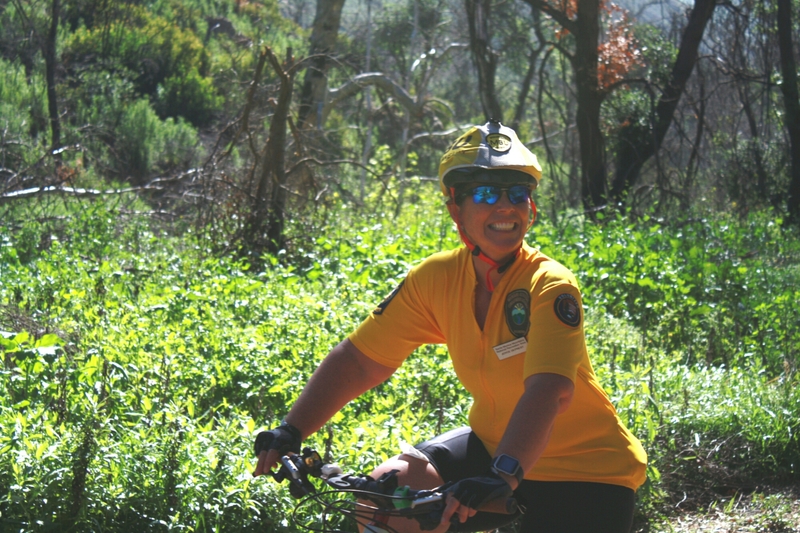 Joyce is an MBU member and patroller, with her favorite place to ride or patrol being Point Mugu State Park. Joyce has been instrumental in re-introducing MBU members to do trailwork. Joyce Deprest is a native San Fernando “Valley Girl.” Her professional life began working in Non-Profit Organizations, including event planning, office management and as the Director of a Synagogue in the San Fernando Valley. During the past 6 years Joyce has rediscovered her love of the mountains, canyons and oceans. The re-experience started with an impromptu hike up a narrow trail in Serranio Park, meeting up at Dirt Mulholland and then up what appeared to be an impossibly steep hill to climb. The adventure was so exciting the next day she did it again. She was hooked. Joyce soon discovered that not only did she enjoy the hiking and being in mountains, and embracing the awesome canyons and ocean views, she loved meeting people on the trails. She found that without an effort, people talked with her and asked her for directions. 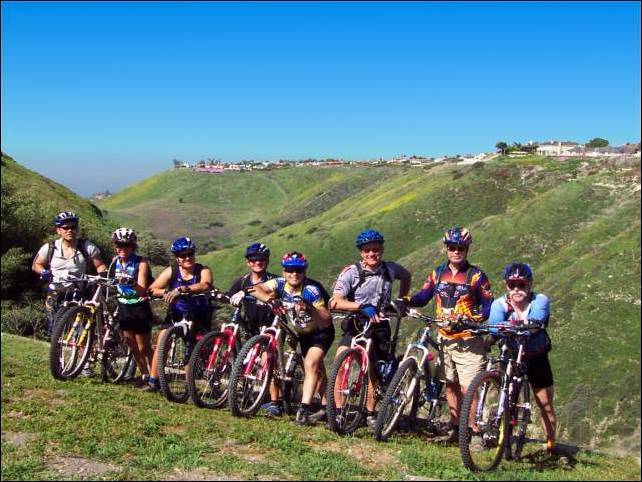 Joyce started talking to Mountain Bikers and learned that by mountain bike riding she could go further, see more and grow her experience with the Santa Monica Mountains. After her first ride on her 10 year old hybrid bike, in Sycamore Canyon/Point Mugu, she realized that a mountain bike with suspension was necessary. The knowledge grew and with that knowledge and a few crashes she realized she needed some MTB riding lessons. One day online she discovered Mark Langton. For the next 4 months she and Mark met in Los Robles for weekly training sessions. In addition to hiking and riding, Joyce was also interested in learning about the trails and trails maintenance. By the end of that year Joyce had completed a one week Trails Maintenance class with COSCA and had participated in many hours of trail maintenance with CORBA. Joyce continued to hike, ride and work on trails. She joined Girlz Gone Riding and in January 2015 Joyce joined the Mountain Bike Unit with the goal of supporting the parks, advising and assisting visitors. Shortly after graduating from the MBU Joyce took on the role of Fundraising Coordinator with the Mountain Bike Unit. Her commitment and sense of stewardship of our public lands is inspiring. We’re excited to have two new board members who also serve with the MBU. The MBU was a CORBA program, arguably the first organized volunteer patrol in the country. 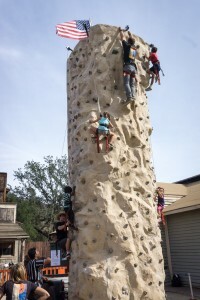 The MBU program grew beyond what CORBA could manage, and is now an independant program of the Santa Monica Mountains National Recreation Area, administered by the National Park Service. 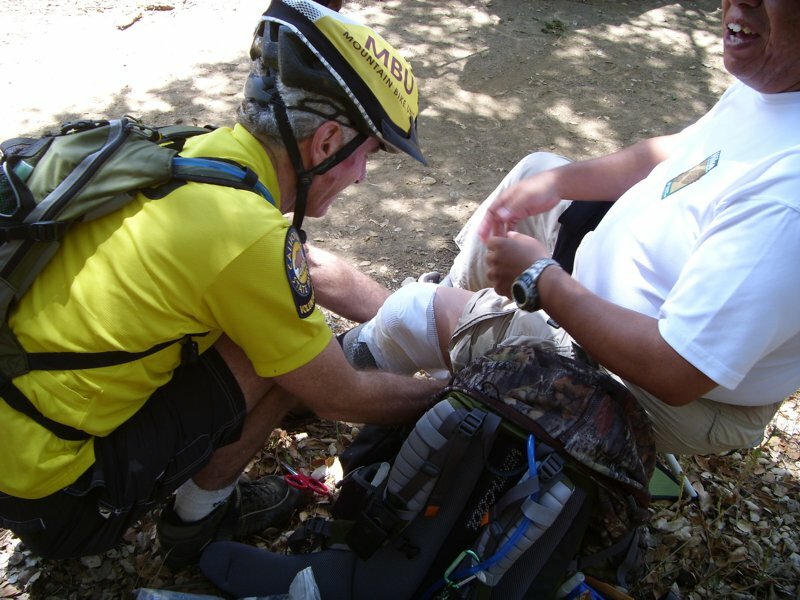 IMBA’s National Mountain Bike Patrol is largely based on CORBA’s early work in establishing the MBU. While our Board of Directors now stands at five members, we are still interested in expanding the Board, and will continue to accept nominations. We invite everyone to meet the CORBA board of directors at one of our Board meetings, or the upcoming Ride and Mingle event on November 27. 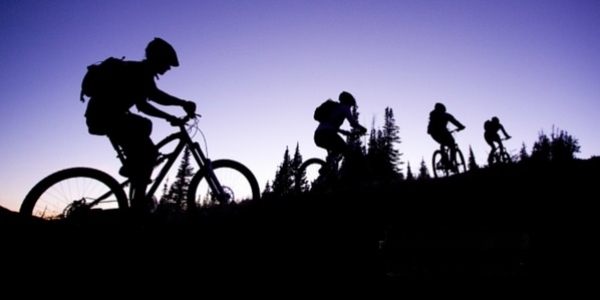 Calling all mountain bikers age 18 and over! The Mountain Bike Unit (MBU) is currently recruiting for its 2014 New Recruit Training Class. If you enjoy mountain biking and are interested in giving back to the community by volunteering some time to assist our understaffed Park Rangers in patrolling the parks, then the MBU may be just what you are looking for. 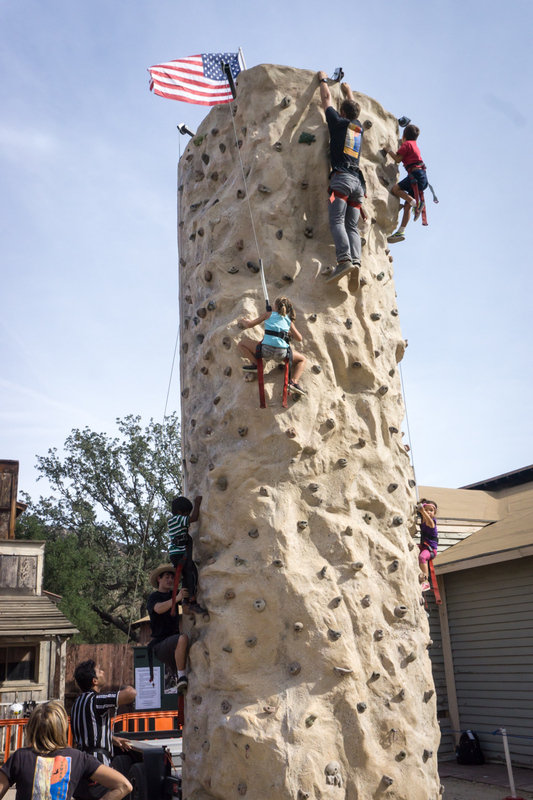 The MBU supports and are sponsored by the National Park Service (NPS), California State Parks (CSP), and the Mountains Recreation and Conservation Authority (MRCA). Here’s what it’s all about. The MBU assists in providing park visitors with a quality outdoor experience and preserving natural resources while patrolling over 60,000 acres of public parkland in the Santa Monica Mountains National Recreation Area. Beginning in late January 2014, training will include visitor contact skills, State and National park radio use, park rules and regulations, first aid and CPR training, and field training exercises. All MBU patrols require at least two patrollers. All rides are self scheduled on our website. We ask each of our volunteers for 100 patrol hours annually (roughly two four-hour patrols per month). Would you like to learn more? We invite you to come to King Gillette Ranch Auditorium at 9:00 am on Saturday, January 25, 2014 for an indoor orientation meeting where we will share with you more details about this wonderful program and what patrolling with the MBU is all about. We encourage you to bring your bike and helmet because we plan to take potential recruits on a ride-along (sorted by ability) after the presentation, weather permitting. Visit the MBU training web page for more details, or to contact the MBU via e-mail (admin@mountainbikeunit.com). To see the MBU in action, view our gallery of MBU photos. Sunday, June 9, 2013, a memorial service was held for former CORBA Treasurer and Board Member Danusia Bennett-Taber. 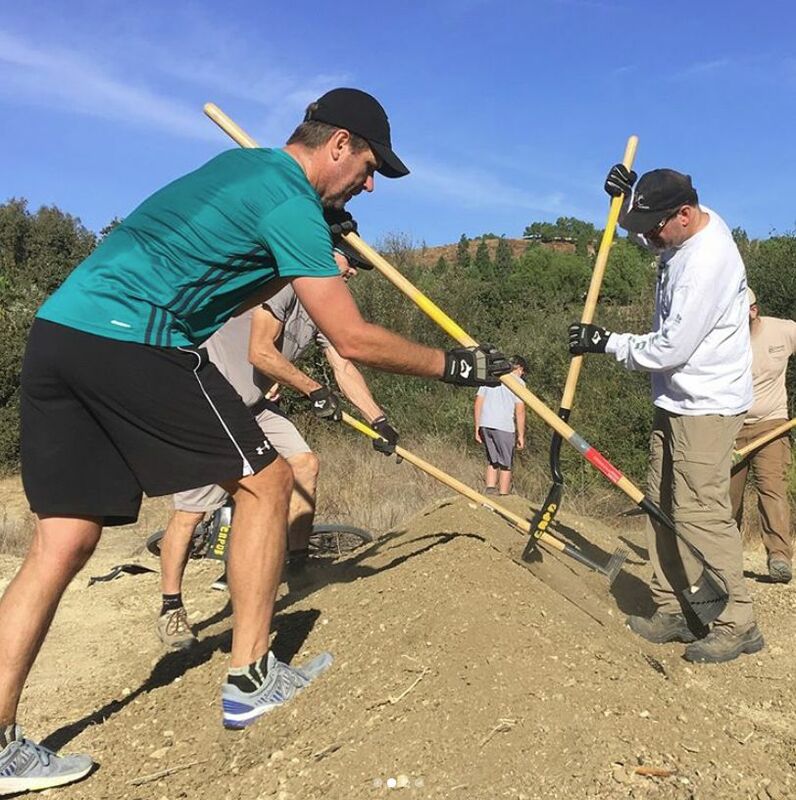 Around 80 friends, family, fellow volunteers, agency representatives, and one friendly horse, hiked or rode in to a secluded corner of Malibu Creek State Park. Under the majestic oaks with the sounds of rustling leaves and bird songs–one of Danusia’s favorite places in the park–people recalled some of their fond memories of her. It was especially clear that there was much more to this wonderful woman than any of us really knew, except perhaps her husband Don, whose recollections brought both smiles and tears to the gathered crowd. We, as CORBA Board members knew her as a diligent and passionate volunteer who loved the mountains and the trails, with a penchant for making sure everything was done correctly. Her family knew she volunteered, but according to them, she had never made any big deal of it. It was just something she did. CORBA’s Steve Messer talked about her legacy and dedication to mountain biking (copied below), the depth of which was unknown to her family. In fact, this was a common theme among those who spoke. Everyone seemed to know a different side of this remarkable woman. But the common thread was that she touched many people, in many meaningful ways. 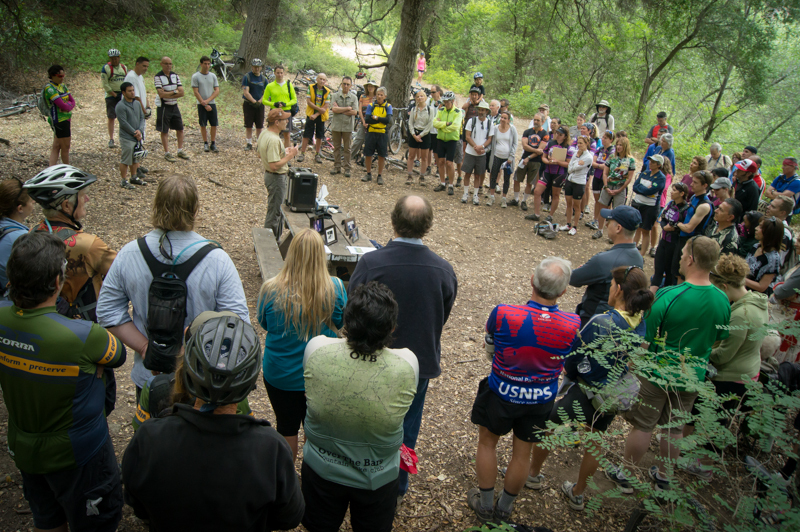 Many thanks to the numerous past and present CORBA board members and volunteers who came out to celebrate her life, and our sincerest condolences to her non-mountain biking family and friends. Special thanks go to Wendy Engelberg, who organized the service. Wendy collaborated with Danusia on a final project, a bell program that will serve multiple purposes: It will remind everyone of Danusia’s great work for the trail community, help ease tensions on the trails from user conflict, and raise money for the Sarcoma Alliance that helped Danusia through the most difficult times of her life. Look for the official announcement in the coming weeks. Danusia Bennett-Taber and her husband Don, CORBA Fundraiser 2011. Danusia joined CORBA’s board in 2007. I’d met her and worked as a volunteer with CORBA in the years prior to that, before I was asked to join the Board. But it wasn’t really until I learned the inner workings of CORBA that I came to appreciate how integral she was to the organization. Danusia helped set-up CORBA up for a solid future in so many ways. Everything we’ve done since and all we’ve yet to accomplish are in many ways possible because of her efforts. She was the backbone of CORBA. 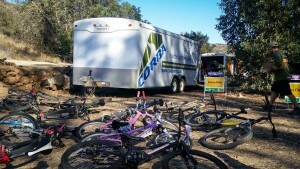 Much like the Backbone trail that connects the various Parks that make the Santa Monica Mountains, Danusia’s work within CORBA connected all our various programs and made sure they had a solid core foundation from which to grow. For a few years there were just three of us running CORBA, and she was always there to make sure that Mark and I didn’t overlook some detail that could have caused problems, or miss a paperwork filing deadline. She had our backs. It’s thanks to her expertise with computers and accounting that our books are in order, our finances are handled and up to date. She left us in a much better state than when she joined CORBA’s Board and became Treasurer. Though she retired from the Board just over a year ago, she never really stopped volunteering. Just a two weeks ago, she was making sure that CORBA’s 2012 tax filings were all in order. Despite her personal challenges, CORBA’s work was all-important to her. She set us up with the tools to move forward and continue our work uninterrupted. But for her it wasn’t just about the management and the paperwork. It was about her passion for trails and the open spaces and public lands we all get to enjoy. 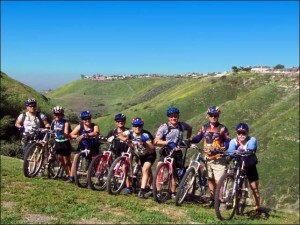 She made sure that she gave back to the trails and, even after being presented with the biggest challenge of her life, learning of her rare cancer, she continued to come out to build new trails in the Conejo Open Space, attended public meetings about trails, and participated in trail maintenance in the Santa Monica Mountains, where she absolutely loved to ride and hike and felt truly at home. She also wanted to make sure that other people had the same opportunities to enjoy the outdoors as she did. 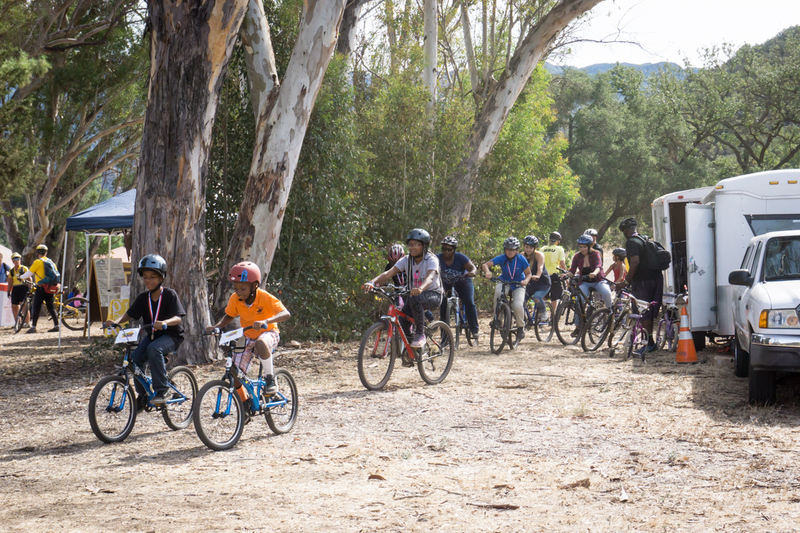 Her involvement with CORBA’s Youth Adventures program helped introduce many kids to the wonders of our great outdoors, and the joy and freedom of experiencing them by bicycle. Her ever-present smile and laughs with the kids were infectious. She also volunteered for the Mountain Bike Unit, patrolling the mountains to help make sure others were safe on the trails while at the same time protecting public lands and trails for everyone, regardless of how they enjoyed the trails. Her efforts to ensure the success of our various fundraisers made sure we had the resources to continue our work. Mark Langton reminded me of how feisty and upset she became when a very few but vocal mountain bikers disagreed with CORBA’s philosophy of taking the high road and doing our best to work with Land Managers instead of against them. They’d complain or say bad things about CORBA’s cooperation with agencies, or our work to preserve and maintain trails. She took it personally, and felt we were misunderstood. Mark would have to reassure her that it isn’t personal. Those naysayers were concerned only about themselves, while we and Danusia were concerned about and protective of the trails and our greater community. In our dealings with State and National Parks, and in our own internal development, she’d always make sure that the women’s point of view was always considered. She’d never let us forget that in this oftentimes male-dominated sport, that if more women were mountain biking we’d probably have a better overall image in the trail user community. Her work with Wendy Engleburg and Girlz Gone Riding helped introduce many women to mountain biking, and support and encourage them along the way. 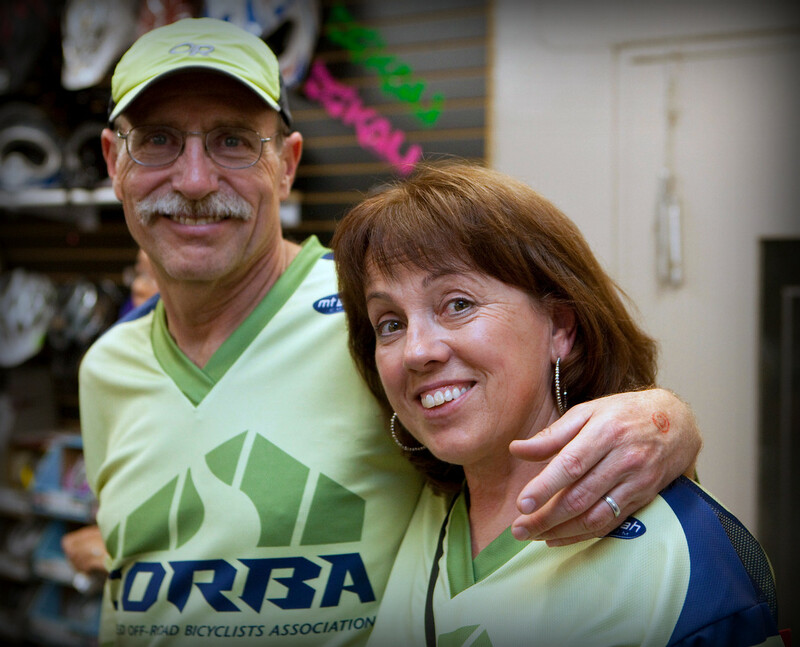 One of the biggest transitions CORBA has undergone in its 26 year history was when we became an IMBA chapter a few years ago. It was a long and tedious process, with a lot of paperwork, filing of documents, and reconciling CORBA’s mission and operations with IMBA’s. Danusia took the lead on that process, and now, as an IMBA chapter, we’ve been able to grow and speak with a louder voice to land managers, with much more two-way coordination and collaboration between CORBA and IMBA. It’s been a wonderful change for us and for our growing membership. 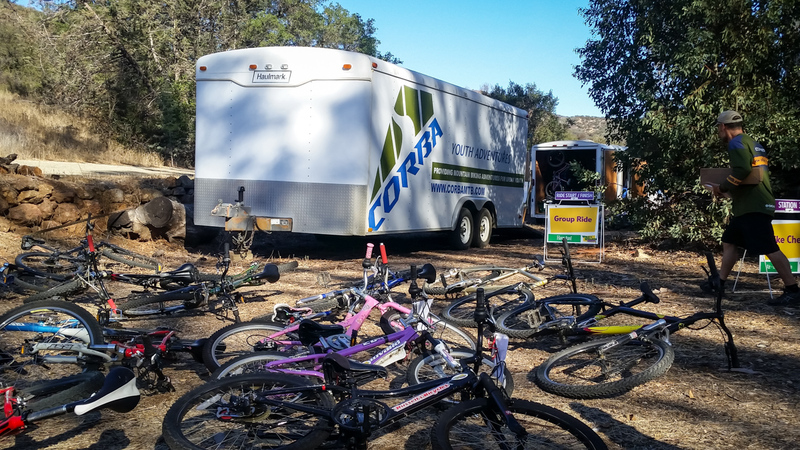 It’s just one of many aspects of Danusia’s legacy within CORBA that is helping guide us into a better future for mountain biking in Southern California. Mark and my last communication with Danusia was a short, but very telling email about a week before she passed on. It was just a few sentences that essentially said, “Guys, it’s hospice time, and I’m really OK with it.” In those few sentences she was both comforting us by letting us know she’d come to terms with her situation and was ready to move on, and that she felt her work with CORBA was complete. She never wanted to have people fuss over her accomplishments and contributions, nor her final challenges. CORBA is continuing to make progress on many fronts, albeit slow. 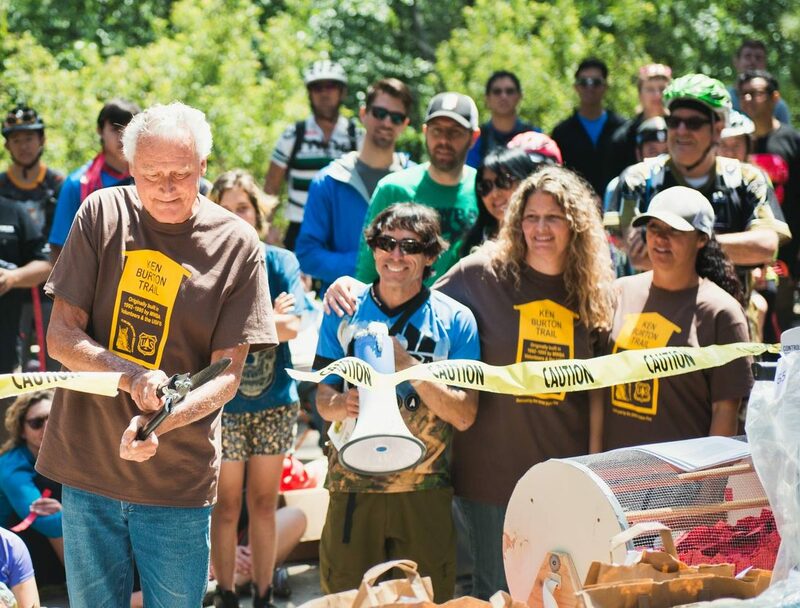 The saddest thing about this great loss to our community is that she was not able to ride the Backbone trail end-to-end by bicycle, or see new trails opened to bikes in the Santa Monicas, or see a bike park completed, or witness the continued exponential growth in women’s and kids mountain biking. But we look forward to a day when many of us will see those sea-changes, and in many ways it will be thanks to her legacy. Danusia, we miss you, we love you, and most of all we thank you for giving so much of yourself to our trails, our mountains, and our community. You’ll be truly missed, but your smile and spirit will live on and continue to touch as all, every time we’re on the trails.